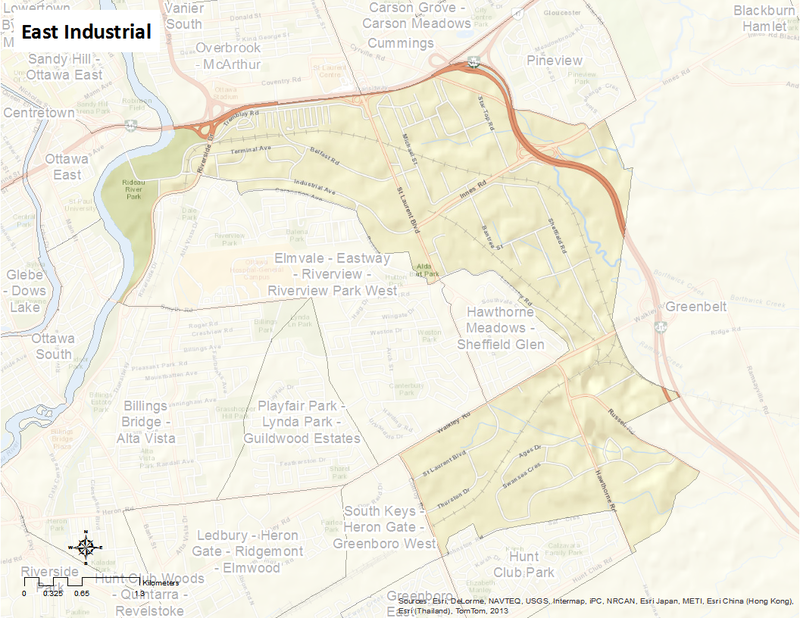 East Industrial is bounded by Hwy 417 to the north and to the east and the Rideau River to the west. The boundary to the south (from west to east) follows Riverside Drive, Coronation Avenue, Russell Road, Lancaster Road, Walkley Road, Conroy Road, Johnston Road, Cellini Court, Sai Crescent, and Hunterswood Crescent. The neighbourhood includes the communities of Russell Gardens, Russell Heights and Russell Manor. Here’s an infographic that describes the neighbourhood as a Village of 100 (2011 data).